What a difference a year makes! 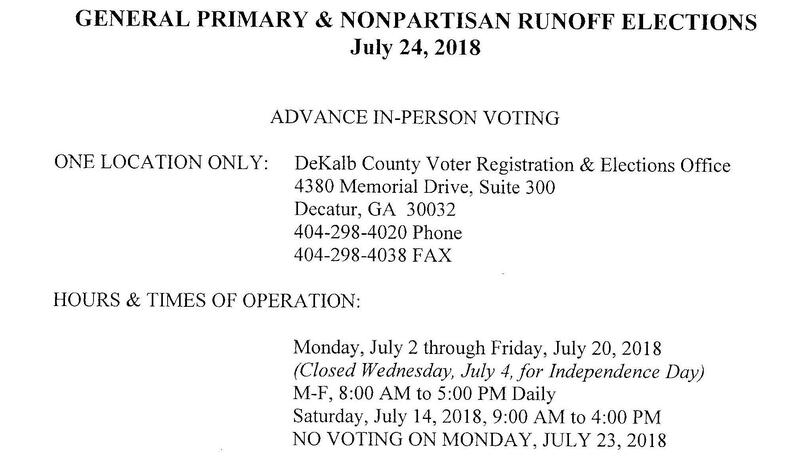 The DeKalb County Board of Elections voted 4-0 (Leona Perry absent) to open only one early voting location for the July 24 runoffs: The Memorial Drive office. So there will be no early voting in DeKalb’s 6th Congressional District precincts despite the runoff between Lucy McBath and Kevin Abel — nothing like the widespread early voting locations for last year’s runoff between Jon Ossoff and Karen Handel. Director Erica Hamilton stated while presenting the proposal that it was in line with the way early voting in previous runoffs had been set up. The BOE’s plan looks woefully inadequate. Hours are DeKalb BOE staff-friendly, 8:00-5:00 p.m. There is Saturday voting on July 14. Right-wing Republican activist Paul Maner, who had challenged the voter registration of Democratic Public Service Commission candidate Lindy Miller, had pushed the challenge onto the agenda for today’s meeting, but his case flopped. The meeting agenda listed challenges, but when the item was called, Director Erica Hamilton told Board of Elections members that there were none. Miller’s voting registration had been changed to match her current address shortly after the challenge was filed, but Maner said he wasn’t dropping the matter. He didn’t show up for today’s meeting (neither did Miller), so apparently he had no case. 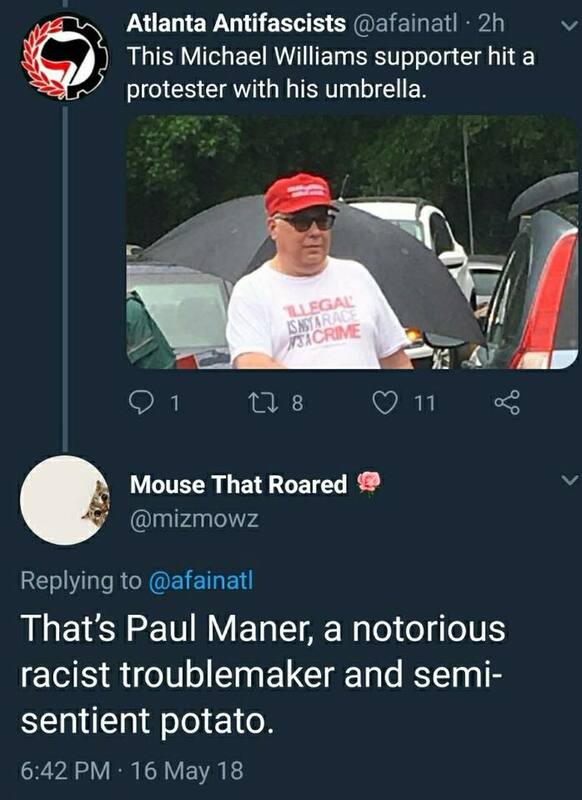 More about Paul Maner: He’s a big fan of GOP guber-loser Sen. Michael Williams and his “Deportation Bus.” Maner got into it with Antifa protesters, sparking accusations of umbrella violence at a rainy-day protest in Clarkston, where old white people showed up to bully refugees. Maner got on the news.